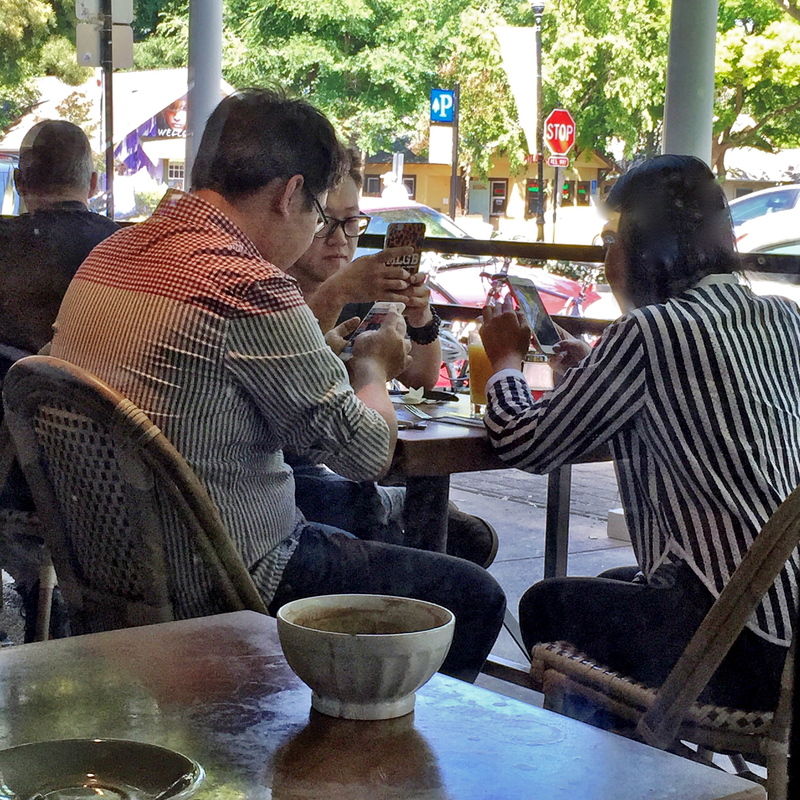 It’s become a cliche–young people on their devices, not talking to one another. Even when sitting together. At the same table. Face-to-face. Jim and I should talk… just prior to snapping this pic, I was reading an article on my phone because there wasn’t enough room at the table to spread the newspaper out. A matter of convenience. And Jim was texting Peter about bringing home an omelet. Often Jim and I will pull out our devices–one or the other of us, or both of us–to look something up or check in with the boy. Whatever. It still looks goofy as hell when the youngers do it. Because they’re asocial and married to their phones. Nyah nyah. I am not calling the kettle black here. I used to make fun of folks like that until the first time Walt and I were at a restaurant doing the same thing. It’s a sickness!